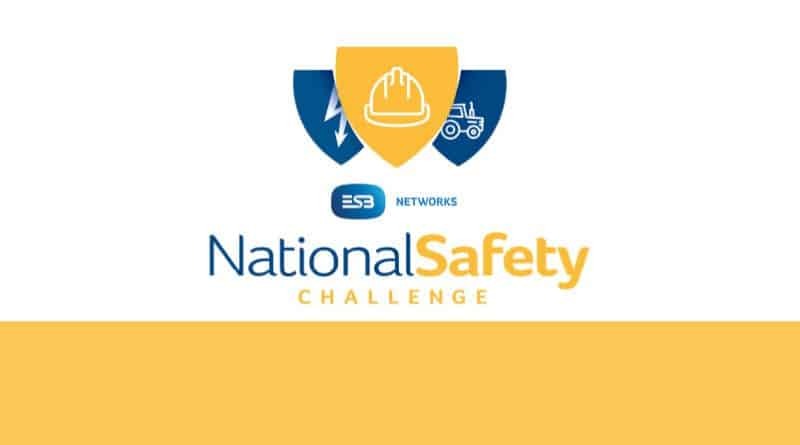 ESB Networks is proud to announce the launch of the ESB Networks National Safety Challenge. The ESB Networks National Safety Challenge, running in conjunction with Irish building magazine, is an initiative which aims to raise awareness of the importance of working safely and responsibly within construction. As part of this National Safety Challenge, ESB Networks are encouraging second and third level students of Construction or Engineering to actively engage with the issue of safety in construction by asking them to develop their own innovative safety idea and to demonstrate how they would implement this innovation. Embracing true innovation, ESB Networks is inviting students to push the boundaries and create ideas and initiatives that will pave the way for a safer working environment for the future of the construction industry. Prizes will be awarded for students at both second and third level, with four finalists being chosen in total. From these finalists, an overall national winner will be selected. As part of the prize, the winners in each category and their innovations will have the opportunity to showcase their ideas to readers of Irish building magazine. ESB Networks is committed to educating and raising awareness among the public on safety. In particular, ESB Networks works to promote behaviour that ensure electricity network safety, communicating the dangers of coming into close contact with the electricity network and equipment. ESB Networks believes that engaging these students in our safety message will reduce their chance of being in an accident involving the electricity network in their construction activities and future careers. All entries must be received by Friday, 23rd March. How can you innovate safety in the construction sector and how would you implement this innovation? Entries and ideas will be accepted in any format: written (up to 300 words), visual (e.g. photography, poster, design, sketch) or digital (e.g. audio, video) and students/groups are invited to submit any concepts, initiatives, plans or ideas they feel will push the boundaries of innovation and pave the way for a safer working environment across the industry. Students should consider their target audience and the feasibility of their entry. Lesson plan 1 ‘Site Safety’ – students will be introduced to site safety and will learn about hazards and risks and the difference between them. An accompanying activity sheet is included. Lesson plan 2 ‘Risk Control’ – students will learn about Safe System of Work Plan (SSWP), safety signage and the hierarchy of risk control. Two accompanying activity sheets are included.